Coca Cola launched a campaign called Small World machines. In March, Coca Cola installed two, one of their kind vending machines in shopping malls. One in Lahore, and the second one in New Delhi. The Small World Machines provided live communication and a portal to people from two countries that are divided not just by borders. The motive behind this campaign was to provoke happiness and promote cultural understanding. LocoBuzz launched their latest infographic called ‘Social Media Analysis of Coca Cola Small World Machines – Brining India and Pakistan together.’ This campaign saw a rise in Coca Cola’s Twitter followers. On 19th May they had 759236 followers. After the campaign, they are followers increased to 793609. This means they gained 34373 followers through this campaign. Alia Bhatt, Varun Dhawan and Ranvir Shorey also tweeted about this campaign. Coca Cola gained 1676689 likes on Facebook. Their post regarding this campaign had about 26205 likes and 6608 shares. 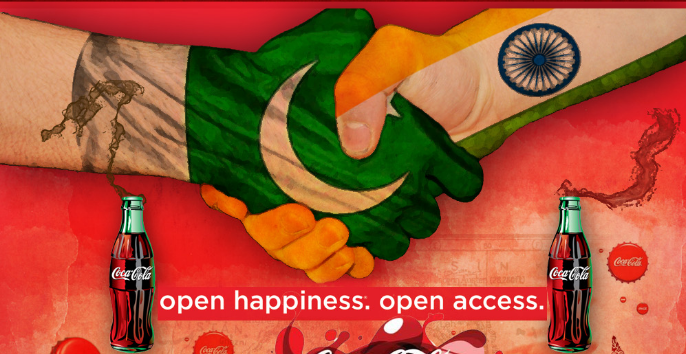 Coca Cola Small World Machine- Brining India and Pakistan together had 1354695 views and 1524 comments on Youtube. In all, over 10,000 Cokes were distributed. But more importantly hundreds gathered, friends were made, hearts were opened, hands touched, communication was established and boundaries were diminished. For the briefest of moments, these people were not Indians or Pakistanis. They were human beings. Connecting, sharing, and smiling.